Roaming around England by free Bus Pass, picking up at least one piece of rubbish every day. Taking the “1 Piece Of Rubbish” campaign to Loughborough to Northampton to Henley-on-Thames to Windsor to Croydon to Folkestone to Whitstable to London to Oldham – all in a week’s work! ….and a 2 minute beach clean at Whitstable! Next Next post: It’s The Final Countdown…! “From Turkey With Love” – from 007! 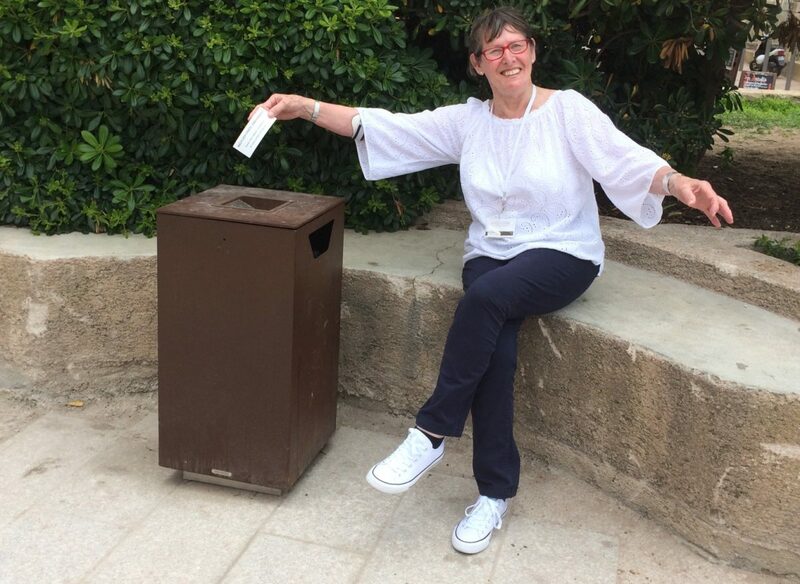 Ruth Major on Rubbish Ruth! Joan Thomas on Rubbish Ruth! Eileen Green on Rubbish Ruth!